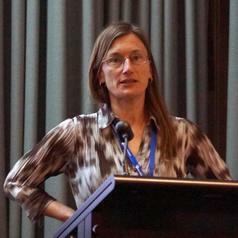 Dr Pandora Hope is an authority on the climate of Australia, working in the research division at the Bureau of Meteorology. She leads a project on climate variability and extremes under the Earth Systems and Climate Change hub of the Australian Government’s National Environmental Science Programme (NESP). She is particularly interested in the attribution of the drivers of individual climate extremes, such as record warm months. The climate of Western Australia has also been a passion, being a researcher and co-manager of the Indian Ocean Climate Initiative (IOCI) since 2002. She was the lead author on the climate projections for south-west Western Australia and southern South Australia as part of the projections for NRM (climatechangeinaustralia.gov.au). She is also involved in the Victorian Climate Initiative (VicCI), and now leads the Bureau of Meteorology's research on weather systems and water under the Victorian Water and Climate Initiative.